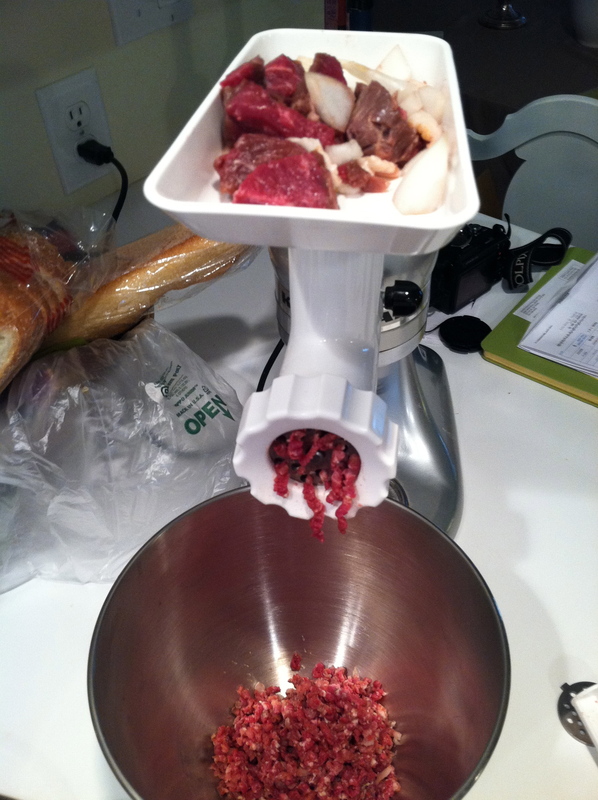 Meat Grinder is the Best Gift Ever! 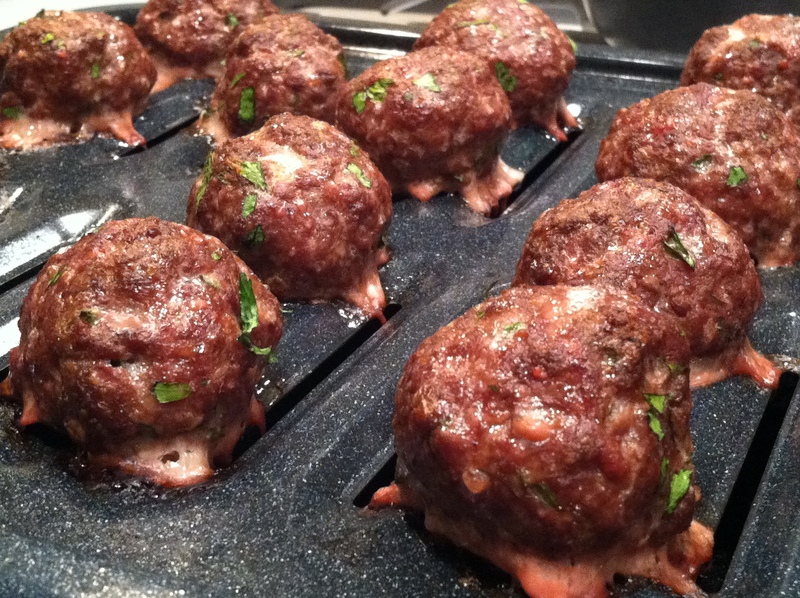 Form into meatballs. Can be refrigerated for up to a day. Bake at 400 degrees for 13-16 minutes, or until done (looking like the picture above). 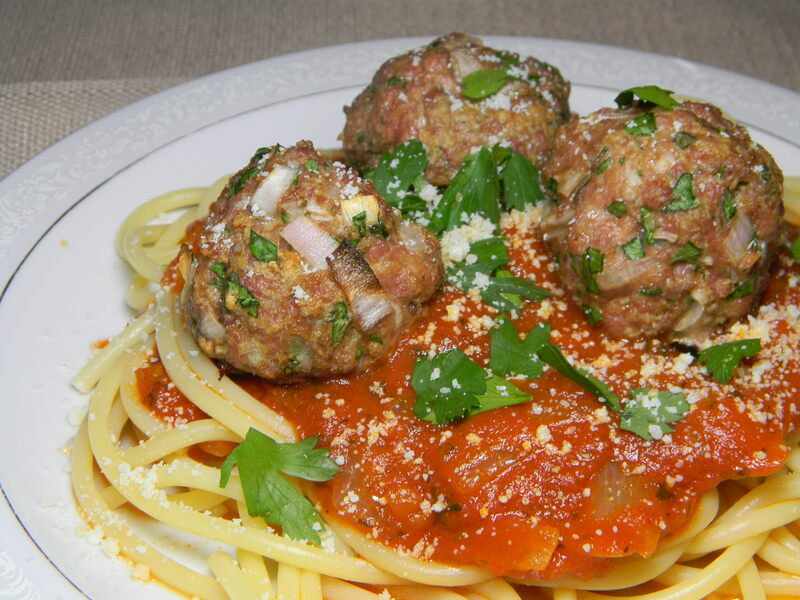 Serve over bucatini pasta with a high-quality marinara sauce. Enjoy!